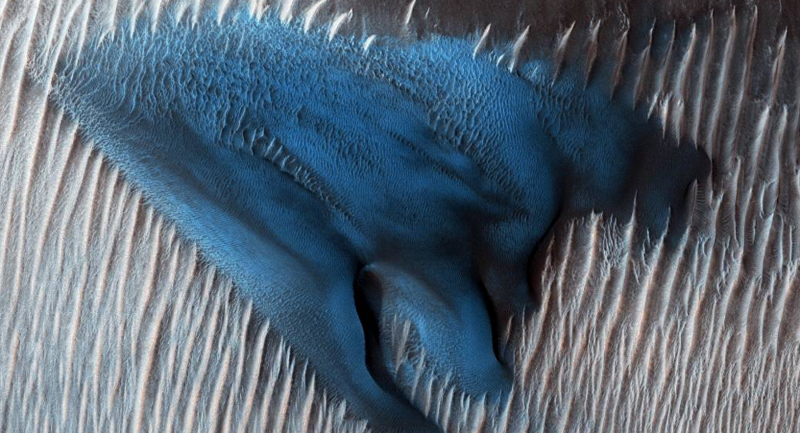 Last week, NASA released a photo of an unusual sand dune on Mars, silhouetted in blue against the fourth planet’s surface in an enhanced image. The photo of the dune was snapped by NASA's Mars Reconnaissance Orbiter's camera. It depicts Mars' Lyot Crater region, a large crater in the Vastitas Borealis region of the Red Planet. Sand dunes typically form on the floors of craters. According to a June 20 NASA press release, this particular dune appeared to have a much more complex structure than surrounding ones. ​"Just to the south of the group of barchan dunes is one large dune with a more complex structure. This particular dune, appearing like turquoise blue in enhanced color, is made of finer material and/or has a different composition than the surrounding," NASA said in a news release. The Martian surface is covered with all kinds of striking features that have recently been brought to light by NASA's Opportunity rover, the robotic spacecraft which has been active on Mars since 2004. Earlier this month, a giant dust storm covered the entire planet of Mars, with dust clouds reaching up to 40 miles high. Martian dust storms appear frequently, especially during the planet's spring and summer, when it is closest to the sun. 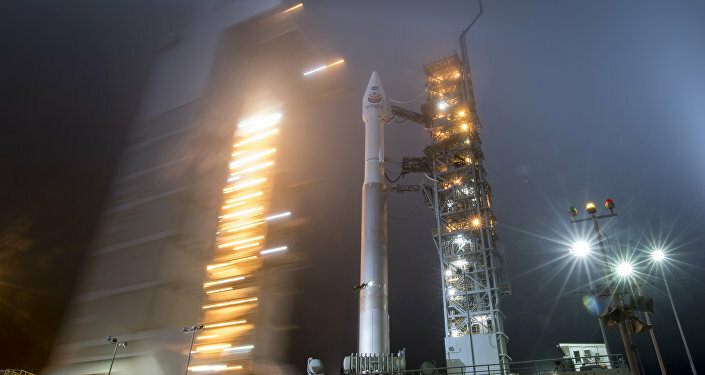 As the atmosphere warms, winds generated at different locations mobilize dust particles the size of talcum powder grains, according to NASA. 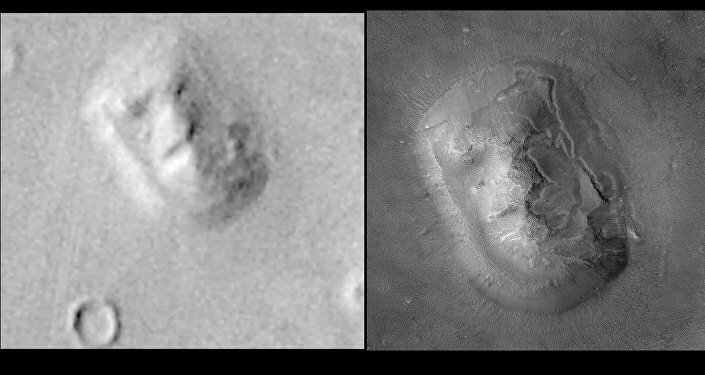 In addition, 2017 data from NASA's Mars Reconnaissance Orbiter and Mars Global Surveyor revealed that on cold nights, when gusts of wind collide with clouds of water vapor in the Martian atmosphere with just the right amount of force, the water vapor transforms into icy particles that cause "microbursts" of snow flurries. However, these snowflakes are a little different than the ones we're used to here on planet Earth. They're just a few micrometers thick and don't reach the surface before subliming into vapor, thanks to Mars' thin atmosphere. It sure is an exciting time for space enthusiasts, and there's still so much more to be discovered about the Red Planet.